24 HOUR EMERGENCY SERVICES AVAILABLE AT NO EXTRA CHARGE! 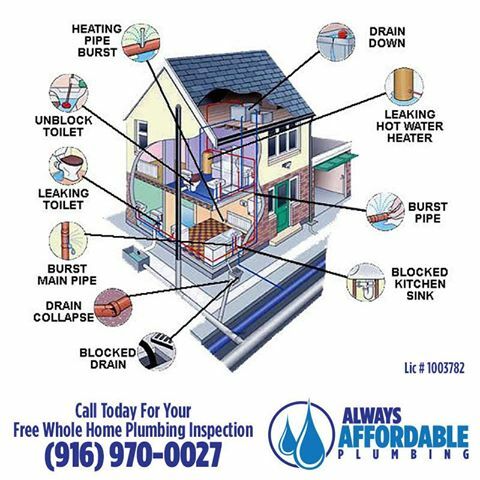 YOUR SACRAMENTO PLUMBER NOW OFFERS 24 HOUR EMERGENCY SERVICE! Sewer backed up in the middle of the night? Broken water line in the yard? No matter what your plumbing emergency, you can always count on our friendly and professional staff to make sure your home will be back to normal in no time at all! Do you want to save thousands of dollars on emergency repairs? Do you want to save thousands of dollars on emergency repairs? A free home plumbing inspection can identify maintenance your system may need. This is a no cost obligation program that allows us to identify potential issues and provide you with economical solutions as well as free estimates for any repairs that are needed.